I am absolutely obsessed with anything coconut so as soon as I heard about this I just had to try it. The latest version of the classic Burt's Bees lip balm smells gorgeous. Coconut Oil moisturises whilst Pear is rich in vitamins to nourish your lips even more. It also has the classic Burt's Bees combination of Shea Butter, Vitamins A and E.
It doesn't have any colour to it so you can pop lipstick over or under it without it changing the shade. Launching TODAY is the new summer range from The Body Shop, Fijian Water Lotus. Such a summery beautiful scent, it has top notes of mandarin and litsea, main scents of white lotus and rose, whilst there are marine base notes. Very fresh and light. It also lasts a long time so throughout the day you'll get wafts of it to transport you to paradise! Here I have the Body Lotion £10, Eau de Toilette £16 and Perfume Oil £7.50, though they also have a version of their infamous body butters in this range and a shower gel. The body lotion is an absolute dream. Deeply moisturising yet light, it really freshens you up in a warm summer morning. Plus the fragrance is uplifting and 'happy' if you know what I mean! Their new charcoal range is very exciting and is 30 years in the making. As well as their famous pore strips, Biore has launched a Deep Pore Charcoal Cleanser and a Self-Heating One Minute Mask. Charcoal is a natural ingredient to draw out all the toxins and impurities in your skin to leave it clear and glowing. What's not to love?! First up, the new cleanser. Don't let the black colour put you off, it claims to trap twice as much dirt than a regular cleanser so it's incredibly effective. You use around two pumps to wet skin, lather it up and rinse to leave fresh, deeply cleansed (yet not tight as Biore's Skin Purifying Technology leaves your natural moisture level intact) skin. Perfect for oily skin. Now this has the charcoal to extract all the dirt in the skin, as well as menthol and zeolite. The heat means that your pores open up a little bit so the mask can penetrate deep down and be the most effective it can possibly be! When it says it's heated, don't be scared that it feels like burning, it's a very gentle heat that feels really nice. I love that this only takes one minute. A Sunday evening face mask has become a bit of a ritual but those you have to leave on for 10-20 minutes are a little bit of a chore. I'm a bit too impatient for that so this is perfect. Overall this is a super effective cleansing range. I wouldn't expect anything less from Biore. If used alongside their pore strips, they claim the products altogether give a 9 times better clean - amazing. P.S. Here's my name in Japanese, don't know why but I just love this! So this week is a pretty special Nail of the Week as it was done by a professional! Yes, I actually got a proper manicure, I haven't had one in months. This week my nails are the most beautiful shade by Essie, called Lapiz in Luxury. I'm in love. I can't stop looking at my nails this week. Available from Superdrug which has 3 for 2 right now! Glossybox Stars and Stripes - launching today, Glossybox 'Stars and Stripes' has the very best American products such as the much-loved Tarte. Only £10 too - bargain! Cosmo Beauty Awards - the nominees announced this week caused a bit of a stir on Twitter, as two of them were involved in the Guru Gossip scandal where they slated other bloggers online. Not cool. Ginger Hair No More? - new this week stated that climate change could cause the ginger gene to die out. The warmer weather means the gene isn't produced as much (disclaimer: I'm not really sure about the science behind this statement!) and whilst I'm not a massive fan of red hair it would be such a shame to see it disappear. Thank god for hair dye! 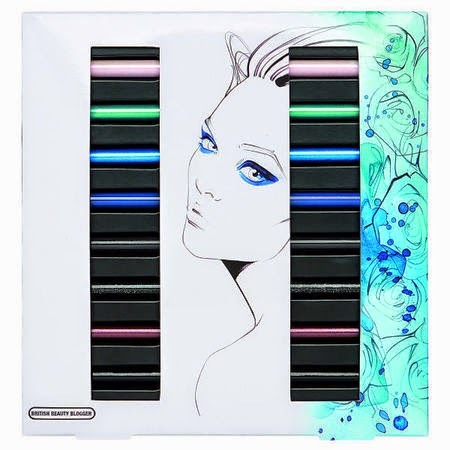 What do you think of the beauty news from the week? Here is the limited edition version of Batiste by Pixie Lott! It combines the classic Batiste formula with a fragrance designed by Pixie. I've tried other dry shampoos and I always come back to Batiste - it really is the best. The fragrance is 'fun and floral' and has hints of sandalwood, musk, bergamot and lemon to create a fresh, girly scent that smells amazing but won't overpower if you want to put on perfume. The design of the bottle is inspired by 60's wallpaper! Paul & Joe have launched three different eye colour cases for £7. There are two floral designs and one cat design (of course). These house their collection of eye colour trios for £23, of which there are 8 different variations. Here, I have eye colour case no.3 with eye colour trio no.2, My Little Kitty. A trio of browns, taupes and a shimmer it is perfect for me as these are the colours I wear every day. Great shades to play with. And because the compact looks so beautiful a great present idea too! A few weeks ago I was invited to check out the latest range from Rituals, plus a bit of flower arranging which I LOVED! The Indian Summer range has white lotus and bergamot scents running through it. 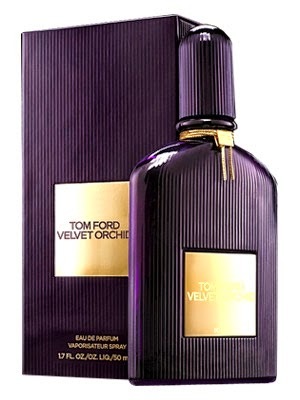 The combined fragrance is really beautiful - light, fresh, perfect for summer. The one I'm most excited by? The candle, just how pretty is this? Perfect as a present for someone, or for yourself! The Lotus Shimmer Body Cream is also beautiful - with a slight shimmer to accentuate your tan this summer. It is quite a rich body cream (great for those with dry skin like me) but it sinks in straight away. It's a subtle shimmer - don't worry about looking like you're going to a rave! If it had a name, I'd call it Raspberry Kiss. It's quite a classic deep pink shade that looks great after two coats. WAH Nails Products - I've loved WAH nails for a while now - they did me Union Jack nails for the Olympics, and this week they announced they are launching a product line in Autumn. Not just any product line - 60 products! Amazing. 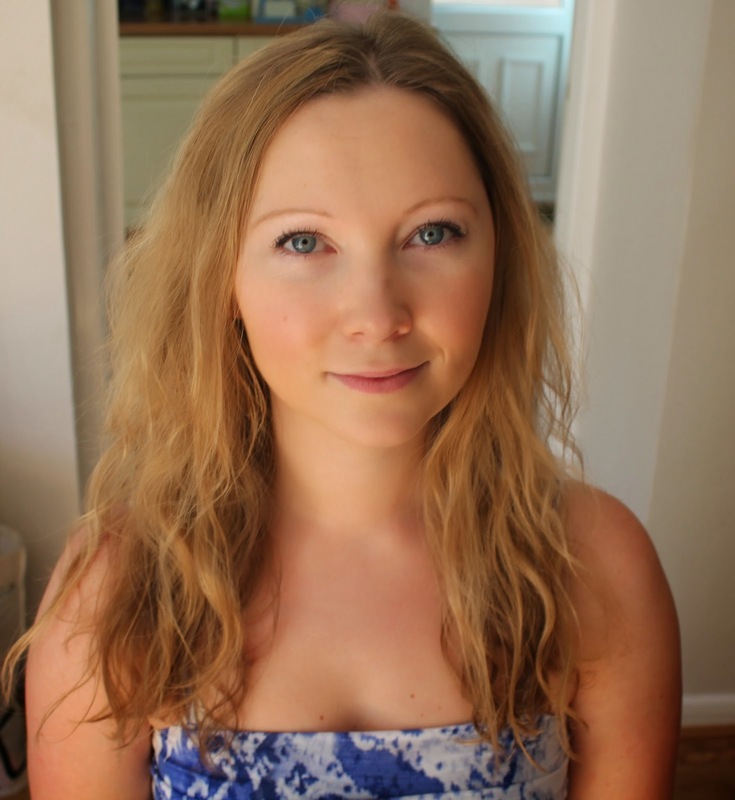 British Beauty Blogger Make Up Range - so exciting! The original beauty blogger is launching her own make-up range in M&S, launching 9th October. With her incredibly extensive knowledge and expertise I'm expecting great things! 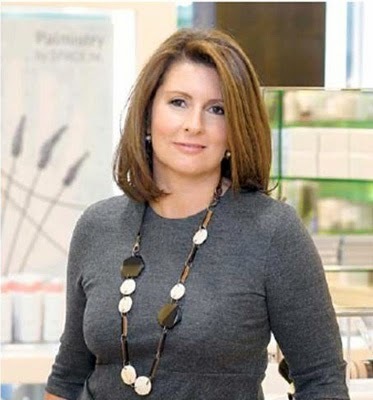 Space(NK) - Nicky Kinnaird, the founder of SpaceNK, announced this week she is stepping down from the company. I was really shocked by this, she has been so involved throughout all the years, her name is part of the brand, but I suppose she will have received a huge amount of money so good for her. Never Underdressed Closes - another one bites the dust. This week the plug was pulled on Never Underdressed. Quite brutal, the announcement came in the morning, the website was no more by the afternoon. RIP. Call the Midwife beauty range - errrrrrrrr, I don't really know what to say about this except - WHO is going to buy it???! Topshop Lips in Inhibition looks really dark when you first open it up. But in the swatch it's a lot less scary! A gorgeous deep berry shade. They say it has a satin matte finish so it isn't glossy but it isn't completely matte either. It doesn't dry out lips which I love. It may be more your cup of tea in winter, but I'm a fan all year! Frizz is my ultimate hair enemy so John Frieda has been a good friend of mine for years! This is the new intense serum from John Frieda to say goodbye to frizz without any grease - the Miraculous Recovery Crème Serum. So how does it fare against the original I've been a fan of for years? To find out, I need to show you just how frizzy my hair gets when I don't do anything to it...be prepared for a serious fluff ball! You know John Frieda is going to deliver on frizz, it's what the brand is known for, and this latest product gives you smooth, sleek hair that isn't crunchy or greasy or stuck into place. 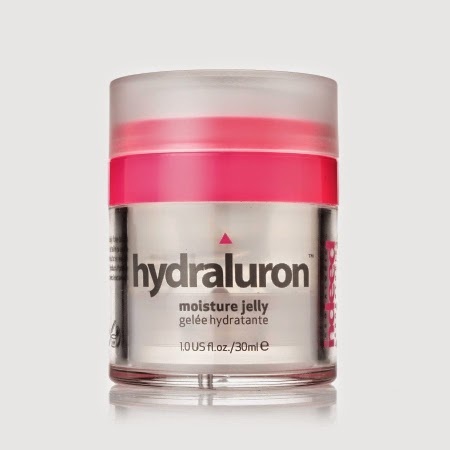 You can apply on wet or dry hair so you don't have to wait til you have frizz to put this on. It also heat protects which is great if you don't have time to let your hair dry naturally. This is something that was in British Beauty Blogger's Dream Box a few weeks ago. It has possibly the biggest promise it could give...does it live up to expectations? I'm super impressed. Instantly longer, thicker, fuller - everything you could want from a mascara. Jet black, packed with collagen, it feels very luxurious. 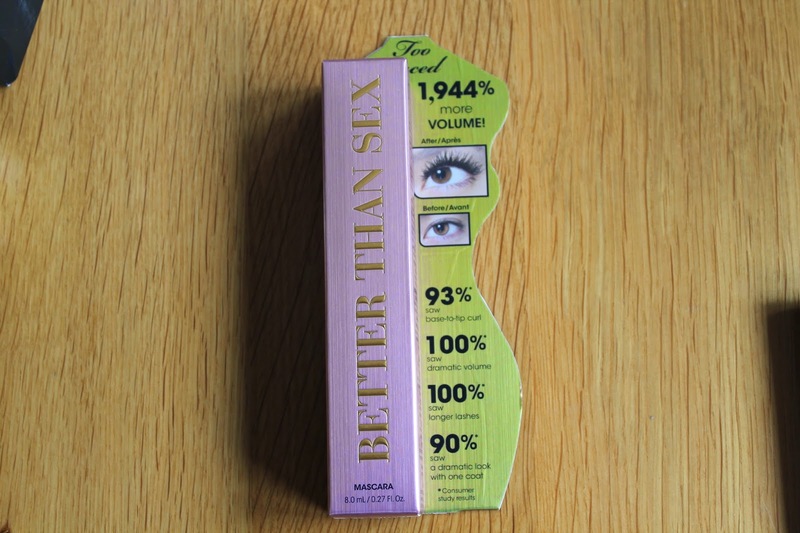 As mascaras go, this is definitely made it into my Top Five immediately!